Many individuals who love languages end up working in education so that they can share their gifts with others. A foreign language teacher generally speaks multiple languages, and many schools welcome teachers whose first language was not English. There are many routes to becoming a teacher in the United Kingdom, all of which will differ depending upon what and where an individual is interested in teaching. Becoming a teacher, then, is largely dependent upon your own abilities and circumstances. Primary school education is broad, and only trained primary school teachers are employed to teach it. Many primary school teachers specialise in teaching a foreign language within their daily lessons, but these teachers are trained at either undergraduate or postgraduate level in primary education and their foreign language teaching is usually regarded as “extra”. There are, however, some undergraduate and postgraduate programmes that offer a specialism in a foreign language, such as at Anglia Ruskin University, Canterbury Christ Church University and Goldsmiths College, University of London. Most of these specialisms are in European languages. Those interested in teaching foreign languages in secondary schools have many different opportunities to enter the profession. Individuals whose mother tongue is something other than English can do a Post Graduate Certificate of Education, School Centred Initial Teacher Training, Graduate Teacher Programme or Registered Teacher Programme. For those already holding an education qualification, contacting the General Teaching Council in order to obtain a teaching reference number is important. Teachers from outside of the EEA will need to prove the equivalency of their qualifications as well as have a valid work permit and work visa before they will be able to teach. Undergraduate and postgraduate education options also remain a route to teaching foreign languages in secondary schools. Secondary school foreign language teachers should expect to teach more than one subject. Some independent schools, which may also be referred to as public schools or sometimes private or privately-funded schools, may hire teachers specifically to teach one language. This usually holds especially true if a teacher specialises in a non-European language such as Arabic, Chinese or Japanese. Qualifications for such positions may differ, but having a recognised teaching credential will certainly never hurt a candidate’s case. Those interested in teaching foreign languages at the further education level will need a recognised qualification to do so. Initial Teacher Training has opportunities for both Associate Teacher, Learning and Skills qualifications as well as Qualified Teacher, Learning and Skills qualifications. A variety of organisations offer appropriate teacher training qualifications, including Goldsmiths College, University of London, International House and the SOAS Language Centre, University of London. Becoming a foreign language teacher in a school is an excellent idea for those who want to share their love of languages. Depending upon whether an individual wants to teach at primary, secondary or further education level, or if (s)he wants to teach in an independent school, there are different ways to obtain teaching qualifications. Individuals looking for further information should contact a local school to find out more about the qualifications required of their foreign language teachers. Hello, Great information! I am finishing a Máster Degree in Spanish as a Second language with the international University of La Rioja in Spain but I live in London. At the moment I work in an official language school and volunteer in a primary school as I prepare my dissertation in that context. My main degree is Economics related and was taught in Spanish which is my mother tongue as I am Cuban. My specific question is, how can I get into formal teaching in the UK with my qualifications? I was told my Master degree would be compared to QTS but I believe is not the case however it would enable me to progress to further education in the field. Can you please clarify what is the best way to get into formal teaching with my qualifications? I am interested in the high education sector. Many thanks. Hello. I'm Alejandra and I'm from Uruguay. I speak Spanish and i learned english when i was a child in the United States, where i went to primary school and then i continued with english in a British school in my country. Now I'm living in Chorley - Lancashire and i would like to have a training course to teach Spanish as a foreign language. What course should I have? Thanks. Hi, I'm a qualified teacher with UK QTS and seven years experience in teaching Literacy, English and EAL at secondary school in England. My first degree is in teaching English as a Second Language therefore I have a good knowledge of methodology in teaching foreign languages. What shall I do to qualify in order to teach German? I took my A-levels in German but since it was many years ago, I'd have to refresh my language skills. Hello! I am a teacher of English in Chile with furtherstudies in Spanish Language and Educational Psychology. 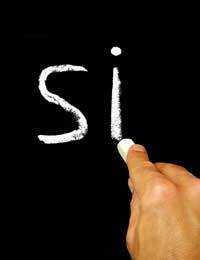 Do you think can I have job opportunities working in Schools as a Spanish teaching Assistant? If you have ILR and are living in the UK, in order to be able to teach in a secondary school you would have to have a qualified teacher status and there are several ways to go about this, see more via the National Careers Advice link here. Hello and thank you for useful information. I am a Russian teacher with Russian diploma in linguistics ( which is recognized as British Bachelor standard). I work in a private language learning centre. I would love to get trained to teach another MFL, particularly Spanish ( as I speak some Spanish but don't have any qualification in it) and become a school teacher.I would appreciate any advice how or even if it is possible to achieve. Thank you. Please see link here for more information which should help. I am Italian. I am 23 years old. I live in London. I want to become an Italian Teacher for the Primary School. Could you please tell me what I have to do? I do not have any qualifications but I love to teach and I love the children. I am currently learning Italian, what qualifications would I need to be able to teach others, privately or in a school. How long would it take and where do I go, could I do anything on line, thank you. Hi, iam an arabic and english teacher at the same time, I would like to teach arabic language in a foreing county for non native.